We know that kitchen storage space can be tight in a sectional title apartment. A trendy and decorative solution? Who said peg boards should be limited to the garage? This easy to make peg board pot rack looks awesome and industrial and would suit a modern, warehouse or retro styled apartment perfectly. Learn how to make it here. 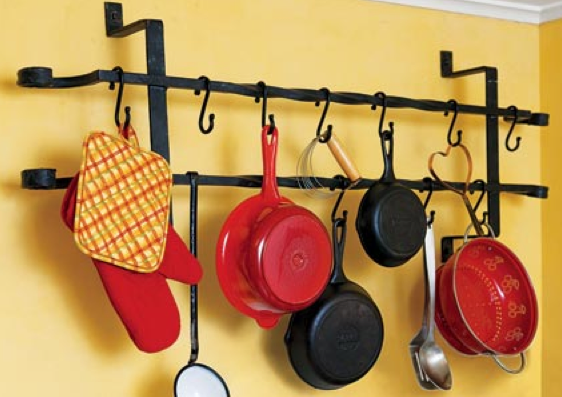 Create an usual pot rack out of a vintage burglar bar with the help of this clever tutorial. I love the rustic look of this recycled wooden ladder pot rack and the way it contrasts with the silver chains that suspend it from the ceiling and the metal pots and utensils. For the ‘how to’ click here. 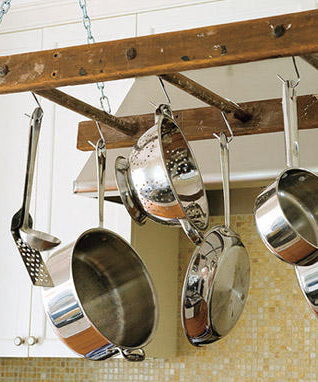 Do you have other pot rack ideas? Share them with us below. 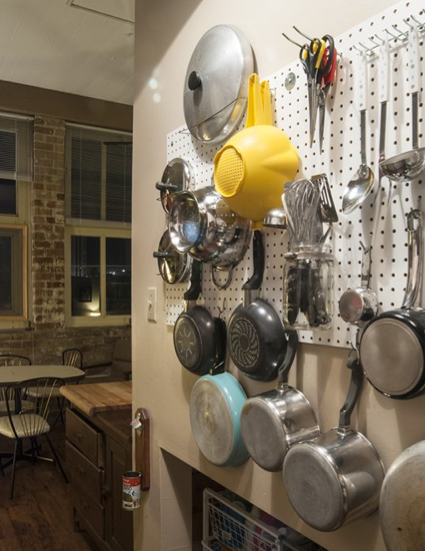 This entry was posted on May 30, 2013 by Paddocks in Kitchen, Lifestyle and tagged burglar bar pot rack, Create your own pot rack, DIY Kitchen Pot Racks, how to make a kitchen pot rack, ladder pot rack, peg board pot rack.